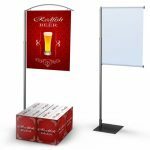 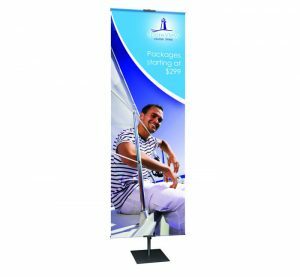 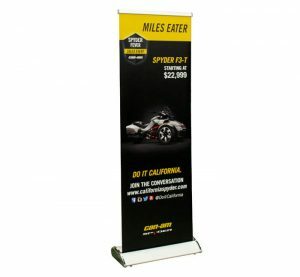 The Atlas SignHolder is a perfect way to display your brand name and product in a retail space, a tradeshow and an exhibit. 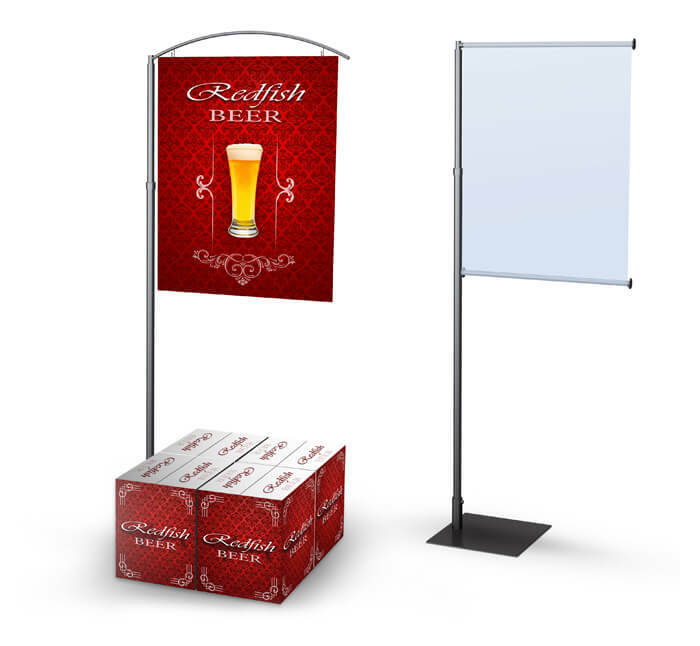 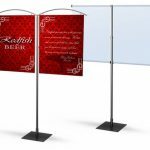 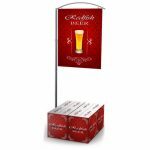 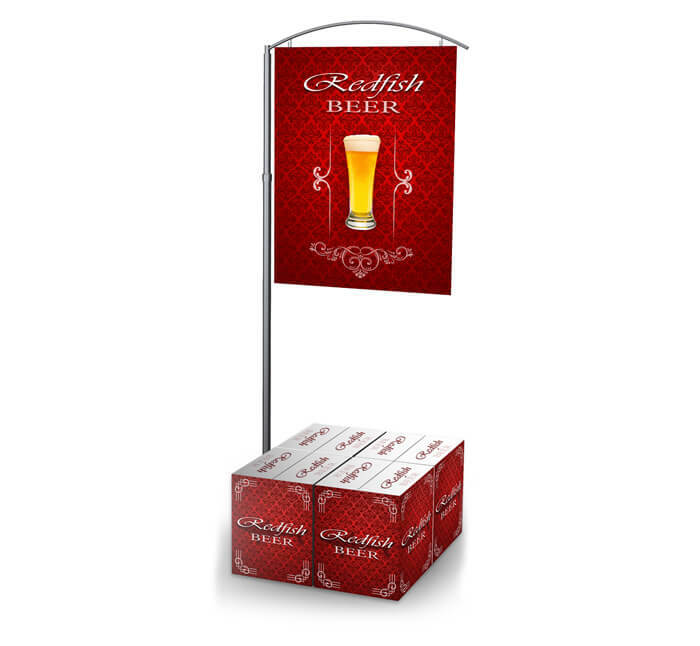 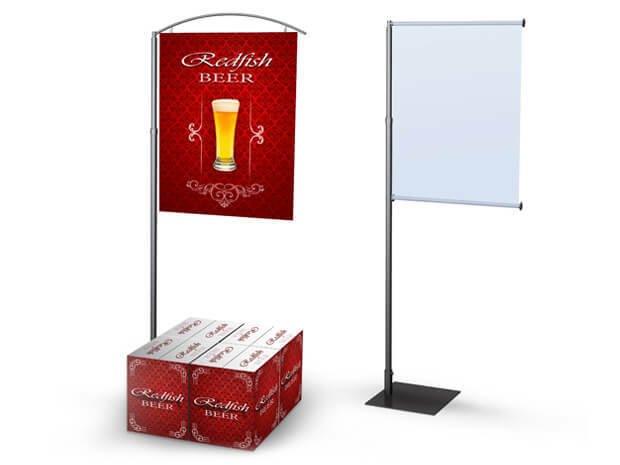 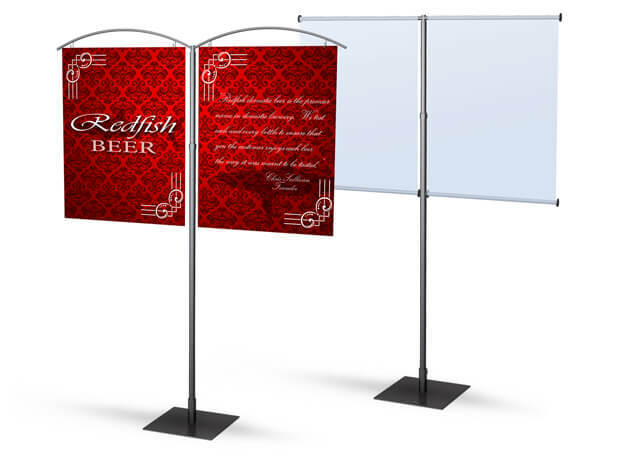 With a solid base, a telescopic aluminum tube and an all-metal unit welded top, this sign holder will help you gain brand awareness. 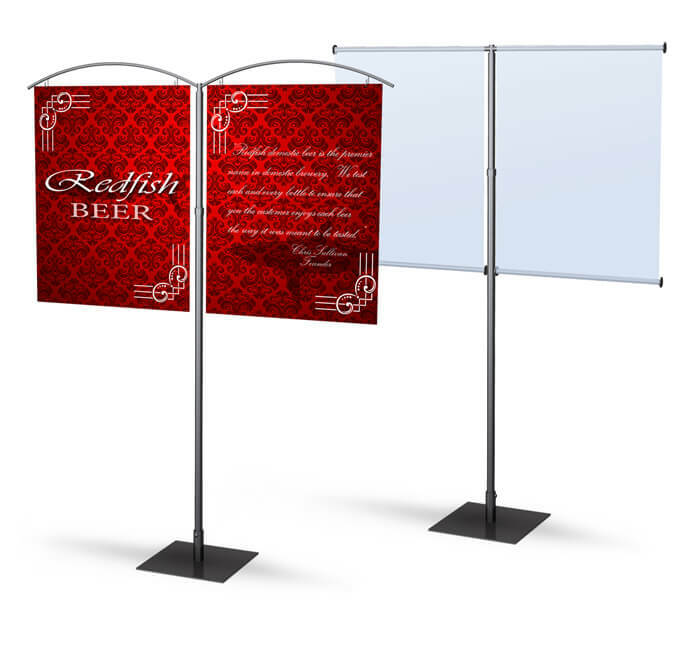 Available as a single or double panel unit, this product comes in either satin silver or black matte.